This video clip is from a Top Of The Pops performance. Pete Wylie is introduced by Radio One DJ's John Peel and Janice Long - thankfully not Saville or DLT. 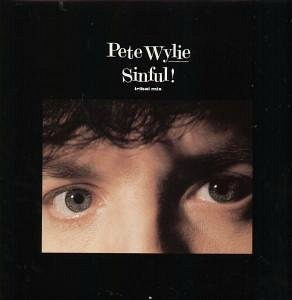 Sinful reached #13 during May 1986 in the UK, and was the title track to the album released in the same year. The Liverpudlian singer/songwriter and guitarist Pete Wylie has released six studio albums and thirteen singles during his career. He is best known for being a member of the band Wah! and other variations including Wah! Heat, Shabeko!, Say Wah!, JF Wah!, The Mighty Wah! and Wah! The Mongrel. Blimey, I hope I've got all of them correct! 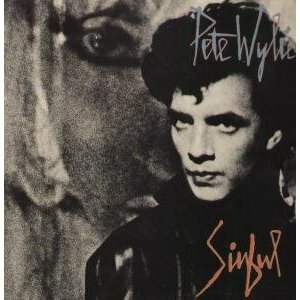 Surely, Sinful deserved to be a bigger hit - at least in the Top 10 - but number 13 in the 80s was very respectable and would have outsold most hits topping the charts today.